In spite of the initial difficulties, Eurozone’s creation should be viewed as a story of success. Additionally, the five years Latvia has spent in Eurozone should be considered successful, says Bank of Latvia Council member Mārtiņš Kazāks. At the same time, he admits that 20 years ago, when Eurozone was first established, many did not imagine how a complicated project it would turn out to be. «As the previous crisis had demonstrated, a number of problems were not resolved, as no one had expected them. We have to keep in mind that this is a very complicated project and that after 20 years it still exists, euro is the second largest international reserve currency, and the countries that have joined it have found success,» says Kazāks. He also notes that after the last crisis there is still a lot left to do to improve Eurozone. Nevertheless, a lot has already been accomplished. The crisis also made it clear that Europe is interested in preserving the monetary union. «This does not mean everything is done. Riga is not yet ready. There are still many, many challenges ahead,» says Kazāks. He stresses that membership in Eurozone is important for small and open economies like Latvia. «I would compare Latvia’s membership in Eurozone with insulating your home. There is less draft, and less warmth is lost. Still, it does not mean the house is warm. Getting a furnace is our own responsibility. With that, Eurozone does provide us with more comfort and protects us from many external threats, but making the house warm is for us to do,» says Kazāks. He says analysis from the Bank of Latvia show that after joining Eurozone, Latvia has seen improved employment and investment volumes, as well as improved and better economic growth rates. Latvia has also become more stable after the crisis. Membership in Eurozone has also reduced Latvia’s openness to different speculative attacks. The Bank of Latvia has analysed that the country’s credit rating’s increase by two stages has reduced the value of state bonds by 150 base points, which has helped Latvia save 0.6% of GDP over the past five years. Savings on currency exchange have amounted to EUR 70 million annually, which is roughly 1.5% of GDP over the past five years. If Latvia was outside of Eurozone, investments would have been 5% smaller, the number of unemployed people larger by 5,000, and GDP per capita – 164 euro smaller. 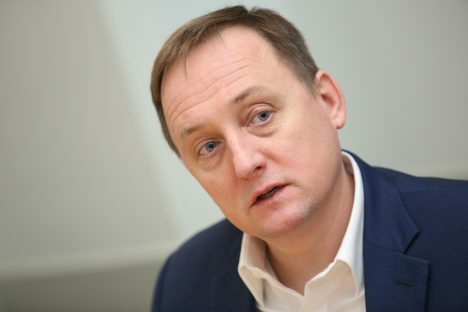 The member of Bank of Latvia Council also said the first five years proved that many of the warnings voiced five years ago about Latvia’s membership in Eurozone were no more than urban myths. «But as for Eurozone not resolving all of Latvia’s problems… Well, of course! How can Eurozone help with improving Latvian residents’ health? How can Eurozone help with education quality? How can Eurozone help with taxes or regional policy? Eurozone is only one of the elements in the arsenal of tools accessible to us. With that, opportunities provided by Eurozone are very good. Nevertheless, we have to conclude that neither we in Latvia, nor Eurozone are sufficiently swift to use everything at once. There is still a lot to do,» says Kazāks. As for the future of Eurozone, Kazāks stressed that reforms should be continued. «Eurozone is a monetary union, and it is therefore important for all players to play by the same rules. As we can clearly see, this is not the case. Eurozone contains very different economies. If we look at structural reforms more widely, we have to mention the labour market, productivity, business environment and a number of other matters. All countries have objectives – and it’s an endless road. Additionally, this does not depend on whether or not they are part of Eurozone. Eurozone plays a more important role than it would if they still had their own currency. If we look at Eurozone as a whole, the topical matters become clearly outlined – banking unions and the matter of a single capital market. Europe still plays a major role for banks and there is no shortage of market players. The finance market in Europe is very fragmented among different countries,» says the council member of Latvia’s central bank. He also says Latvia’s recent experience in the banking sector and the report from Moneyval clearly show that money laundering and terrorism financing prevention lacks a joint Eurozone regulation. «Still, if we look at this matter globally, Eurozone’s formation can be considered a story of success. Yes, there are some difficulties, but a lot has been done already to make Eurozone stronger and more resistant against crises. What will the future bring? We will see!» says Kazāks.